First of all a big Thanks to Carol for giving me all the power on her blog while she brings a tiny human into the world. Well ok, maybe I don't have ALL the power, but I'll be doing some blogging over here to help keep you all entertained for the next little bit. I think I'm pretty entertaining. I like to tell stories and create designs that inspire us to live with a little bit of magic in our everyday. 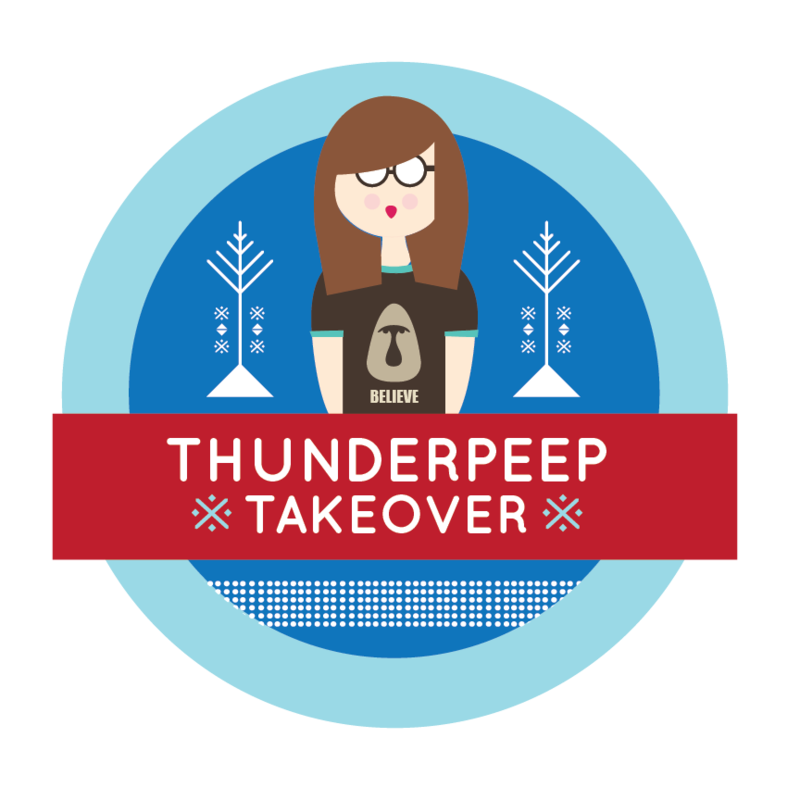 I own a small business under the name thunderpeep. The past year I've been undergoing a big re-brand for both my life and business (apparently these things happen when you turn 40!) which I've been sharing over on my blog over here. My real name is Michelle and today is actually my birthday (and Carol's official due date). thunderpeep is a silly nickname I acquired years ago, that luckily makes for a really fun alter ego. Now that we've gotten awkward introductions out of the way, I'm looking forward to hanging out and sharing some of the things I think are cool, maybe some fun tutorials, tricks and treats. Every now and again I do this little feature on my home blog called Freebie Fridays, and since this Friday is my first post here I thought I'd share some of the freebie love with you. 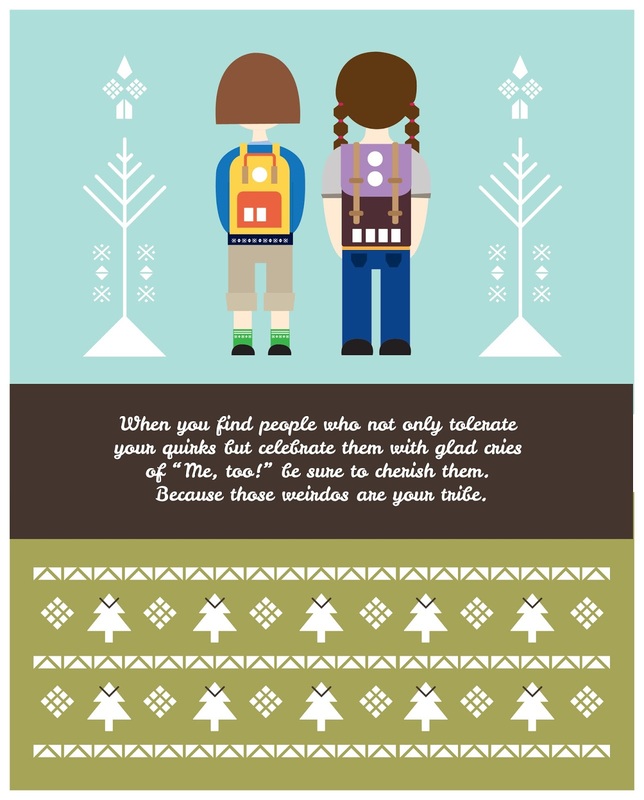 In honour of friendship and adventures I'm offering up this little print for you to download and print and maybe frame for one of your super cool friends. The imagery is actually from the back cover of my book and the saying is an unidentified quote from the world of Pinterest. Just click the image and it will pop up into a new window. Right click the image to download and then enjoy!